Our Top Trending Offer Right Now is: Xfinity! Join Now! These Terms and Conditions are between Real Estate Agents [Agents] and IDR concerning Agent members of the ‘Agent Rewards Program'. Agents receive training materials and collateral about Comcast served properties and the value they add to the Home. Agents receive training materials and collateral about Sunrun Solar services. The Agent confirms Comcast status for the listed residential properties at www.Comcast.com and provides IDR service availability information to the buyers and/or sellers of Comcast-ready properties. 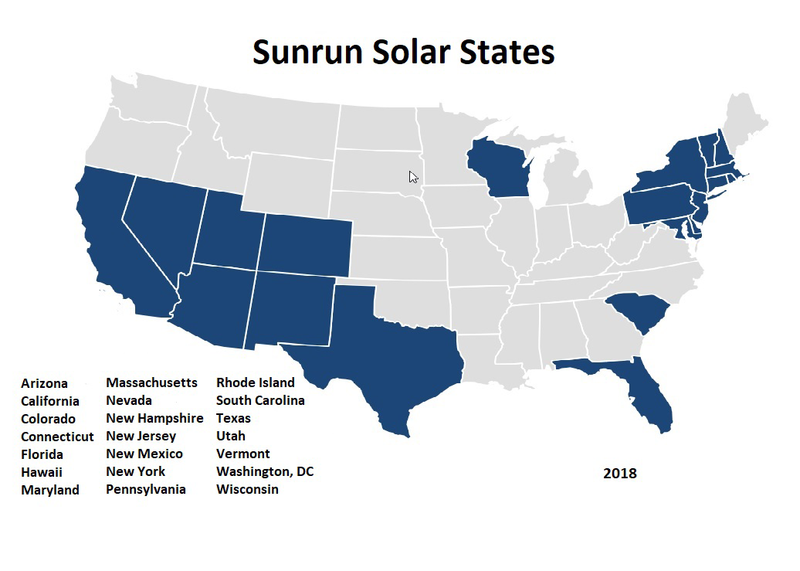 The Agent confirms Sunrun solar eligibility by verifying the listed residential property is within the following US states: AZ, CA, CO, CT, FL, HI, MD, MA, NV, NH, NJ, NM, NY, PA, RI, SC, TX, UT, VT, DC, WI. When a residential property goes under contract for sale, the Agent for the Buyer or Seller may enter the property address as a Lead in the Members Area of this website. Registered properties are also referred to as "Leads." When an Agent’s client schedules and completes an appointment with Sunrun Solar, the Agent will qualify to receive a $25 Visa branded reward card. If the client signs up for Solar services, the Agent will receive an additional $75 Visa branded reward card. An Agent must have at least one qualified Solar Sale per 5 appointments set to continue to receive rewards. In each Real Estate Office, the Broker may designate a single individual as the "Program Champion." The Program Champion will encourage, facilitate and monitor the participation of Agents within the office in the Comcast Agent Rewards Program. IDR may provide additional training and routine reporting (including office summaries and detailed agent rewards/results) to the Program Champion. The Program Champion will sign an enrollment form checking a box stating they have read and accept the Terms and Conditions of the Program. The Program Champion is not required to be a licensed Real Estate Agent. *Reward Card amounts are determined by the qualifying region of the confirmed sale. Reward Cards are $50 or $75. Beginning January 1, 2017. The Program may be terminated by IDR at its discretion. Participants must be licensed Real Estate Agents and legal residents of the United States and/or the District of Columbia and 18 years or older as of July 1, 2013. Only residential properties that are confirmed by Comcast for which the Agent is the Buying or Selling agent are eligible as Leads under this Program. This program is void where prohibited or restricted by law. In compliance with the IRS 1099-MISC regulations, if you receive $600 or more in Reward cards in any tax year, IDR is required to complete and file a 1099-MISC form. Therefore, you must provide applicable tax ID information to participate in this program if you achieve the $600 threshold, and a 1099-MISC tax form will be forwarded directly to you by January 31 of the subsequent year. Agents cannot alter or modify any Comcast ARP materials. Additional collateral can be requested by contacting Customer Care at 877-735-6094 or ARPCare@agentrewardsprogram.com The Agent Reward Program name and logo and all related product and service names, design marks and slogans are the property of IDR and may not be used in any manner not specifically permitted by these Terms and Conditions without IDR's express written consent. Nothing herein shall be construed as granting a license under any copyright, trademark, or other intellectual property right of IDR. Agents are eligible to receive reward cards only on Leads entered on the Program website that are under contract for the sale of the property. Only Leads where the Agent is either the Sellers' Agent or the Buyers' Agent are eligible. Agents submitting a property previously registered as a Lead will be notified of the ineligibility. Leads that do not result in the purchase of a qualified Comcast bundle will expire in 90 days after the registration. Agents qualify to receive a reward card when a qualified Comcast bundle is purchased for the property. Agents qualify to receive a reward card when a Sunrun Solar appointment is completed and/or when Sunrun Solar services are purchased. An e-mail confirmation will be sent to the Agent 4-6 weeks after a Comcast bundle is purchased for the property and the installation process is complete. An email confirmation will be sent to the Agent 2 weeks after a Sunrun Solar appointment is completed. An email confirmation will be sent to the Agent 4-6 weeks after a Sunrun Solar service is purchased for the property and the installation process is complete. The status of the Lead in the Members Area of the website will be changed to ‘REWARDED’ at this time. The $25, $50 and $75 Agent rewards will be a Visa Prepaid Card. Prepaid card is given to you as a reward, refund, rebate or gift and no money has been paid by you for the card. Prepaid card is issued by MetaBank®, Member FDIC, pursuant to a license from Visa U.S.A. Inc. No cash access or recurring payments. Card valid for up to 6 months; unused funds will be forfeited at midnight EST the last day of the month of the valid thru date. Card terms and conditions apply, see MyPrepaidCenter.com/site/visa-promo. Cards will be mailed to Agents within 4-6 weeks after the client installation is complete. In offices where a Program Champion has been designated by the Broker, the Program Champion is eligible to receive rewards. During each calendar month, the Program Champion will receive one $50 Visa prepaid card for every 10 Qualified Sales which are confirmed, as set forth above. Qualified Sales are not cumulative and do not carry over from month to month. In addition, Program Champions may be eligible for rewards as part of periodic special incentives offered by IDR. IDR makes no warranty of any kind, either express or implied, including, but not limited to, warranties of title, non-infringement or implied warranties of merchantability for a particular purpose in connection with the Program, or the content of this web site. In no event shall IDR be liable for any special, indirect, or consequential damages arising out of use of this web site or participation in the Program. IDR is not liable for any injury, death, or other loss, cost, or damage or claims by participants related to the redemption, receipt, or use of awards in this Program. By registering, Agents waive all rights to claim punitive, incidental and consequential damages, attorneys’ fees or any damages. IDR reserves the right to alter, amend, or cancel any, or all, of this program at any time without notice. All IDR decisions are final and binding. IDR reserves the right to review and audit all Agent reward accounts and to make adjustments in the event of any discrepancies. Violation of these terms and conditions may result in the forfeit of reward cards claimed by and/or awarded to an Agent. Furthermore, this may result in IDR terminating an Agent's continued participation in the program. IDR reserves the right to review and audit all Agent participation statistics. If the level and consistency of participation is sub-standard, IDR may suspend the Agent’s active membership in the program. Agent email address - Participating Agents authorize IDR to utilize the Agent's email address to communicate and provide information regarding this program. IDR will not use this email address for other purposes. Information regarding each Agent's property sales and rewards will be made available to the Program Champion and other Agents within the Real Estate Office. From time to time, IDR may designate additional services, areas and reward amounts to be included in the program. Some packaged services will not qualify. Not all Double Play packages qualify. IDR is authorized to communicate with program participants via email, text and/or phone. Where would you like your rewards sent?